A radical plan aroused both ardor and opposition. Throughout the year there are ritual events. This kind of informal contact between masters and house residents, senior faculty and undergraduates, may seem unexceptional to College alumni, but it’s rare in American higher education. The only true counterpart to Harvard’s house system as a way to lodge, feed, and educate upperclassmen is an analogous arrangement at Yale (where the units are called “colleges”). 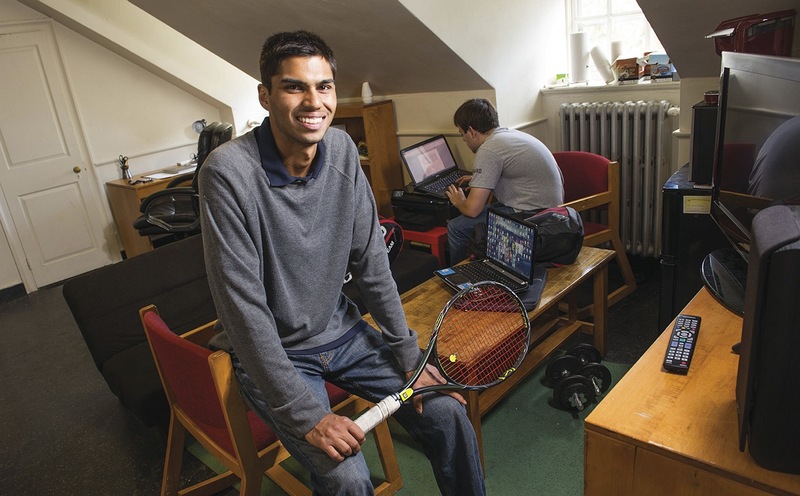 At many universities, undergraduates do not even live in dormitories. After freshman year, “at elite state universities, off-campus living is the norm,” says Stephen Lassonde, who arrived at Harvard as dean of student life this year after six years at Brown University and 14 at Yale. Well over 90 percent of University of Michigan upperclassmen, for example, live off campus. The University clearly agrees, and has launched a $1-billion-plus, multiyear plan to renovate the 12 undergraduate houses—an enormous, complex project that will figure prominently in the newly launched capital campaign. Last year, renovations began in the older part of Quincy House; this September, students moved back into the building, now renamed Stone Hall after the Harvard Corporation’s late senior fellow, Robert G. Stone Jr. ’45, LL.D. ’03. Work on Leverett House’s McKinlock Hall started in June, along with exterior work on the smallest of the so-called River Houses, Dunster, which will be the first house fully renovated. The project is a clear declaration in favor of a residential college, of on-campus living, of a “brick-and-mortar” campus, and of an intergenerational, face-to-face learning environment—all obvious continuities with the past. But Harvard’s affirmation of these things now is significant, in an evolving higher-education era of distance learning, online universities, MOOCs (massive open online courses, including those offered by Harvard through its edX partnership), digitized libraries, and open-source knowledge. There was, perhaps, a time when Harvard’s preeminence sprang from having the largest university library and a highly distinguished faculty. “Well, Google is digitizing all the books, and now the faculty is on YouTube,” says Cabot House master Rakesh Khurana, Bower professor of leadership development at Harvard Business School. “So, the question you have to ask is: what is the value proposition of face-to-face learning? If you use technology to complement that and think it through strategically, you can automate the rote elements and spend more time on the meaningful interactions that can’t be duplicated online. We have got to curate that aspect. Keeping the core purpose constantly in view is crucial because “small things can take the whole system out of alignment,” says Khurana. Take, for example, the 21-meal-per-week board plan to which all on-campus Harvard undergraduates must subscribe. It means that everyone in the College eats nearly every meal with fellow students, tutors, masters, and house affiliates—a fact that may be the single most important element sustaining the sense of community in the houses. In contrast, undergraduates at MIT, for example, can choose meal plans of 10, 12, 14, or 19 meals per week, opting to eat the rest off-campus. This results in a very different sort of college experience. Leverett House master Howard Georgi, Mallinckrodt professor of physics, believes that the College ought to do less to encourage extracurricular activities, which can act as a kind of centrifugal force pulling students away from their houses. “There’s a concern with the number of activities people are pursuing outside the classroom,” says Lassonde. “They [students] are all sleep-deprived, at all universities now. And they talk about sleep deprivation with pride—how little sleep they get, and how much they still have to do” (see “Nonstop,” March-April 2010, page 34). Harvard now has about 400 undergraduate organizations, and, as Georgi recommends, the College is considering reducing that number, perhaps by adding stipulations to the requirements for forming an undergraduate organization. The renovations at Quincy House’s Stone Hall provide a glimpse of the kinds of twenty-first-century learning communities that the houses may become. 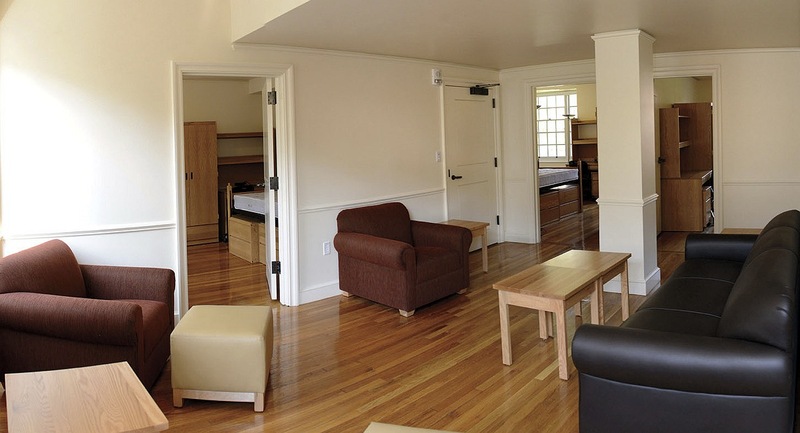 The elimination of walk-through bedrooms offers increased privacy to students. Corridors now connect entryways (formerly vertical “silos”) horizontally, allowing students to visit friends more easily. They also establish accessibility and allow strategic placement of resident tutors’ suites near their advisees and student neighbors. 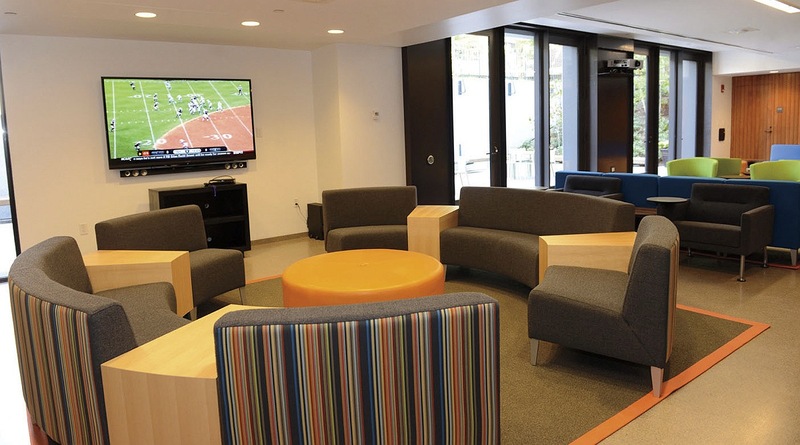 Common areas, including flat-screen TVs, couches, and kitchens, encourage group socializing. 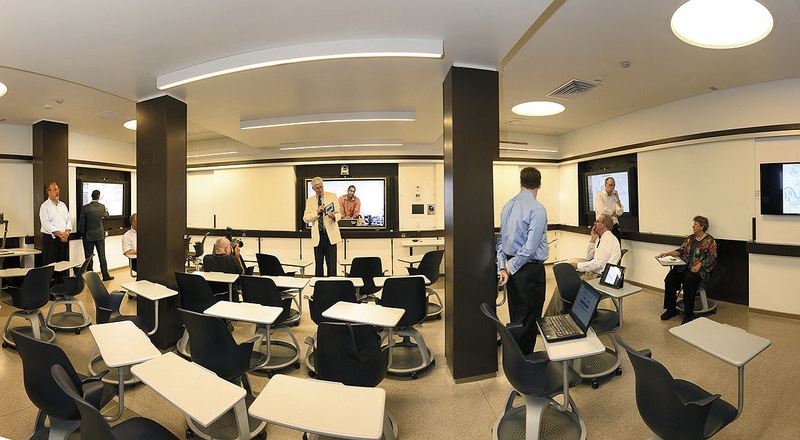 Perhaps most significant, the Stone Hall lower level contains an advanced smart classroom equipped with document cameras and Mondopads (touch-sensitive tablets with Internet connectivity) and a state-of-the-art seminar room. Teachers of six courses, ranging from French to DNA transport, have reserved the smart classroom, an early indicator that such facilities may bolster academic endeavors within houses. The renovations also include spaces—like a large community room on the lower level with an adjoining below-grade terrace—that can encourage students to be adventurous in designing their own group activities. Hence the renovations may, to some degree, offset the pull of campus-wide extracurriculars. Because they occur on a smaller scale, house activities offer some advantages unavailable in College-wide organizations. Rakesh Khurana points to the new Cabot Café, something that students in the house not only manage, but designed and helped get built, working closely with Harvard’s physical-plant personnel. “They worked on plumbing, infrastructure, building codes,” he says. The students also got the government-issued licenses that ensure sanitary handling of food.